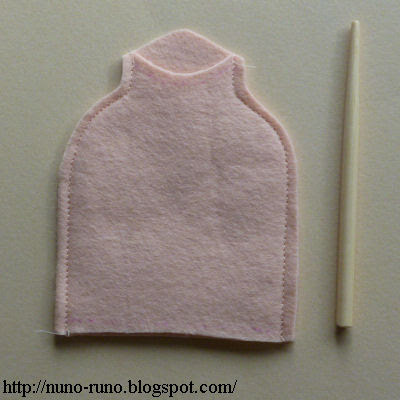 The body of simple felt doll. 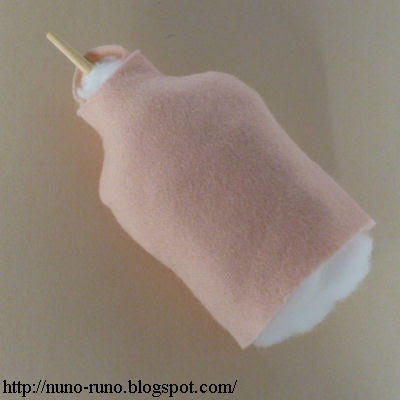 Sew the side of the body. It needs seam allowance of 4-5 millimeters. Stuff fiberfill and insert a stick. 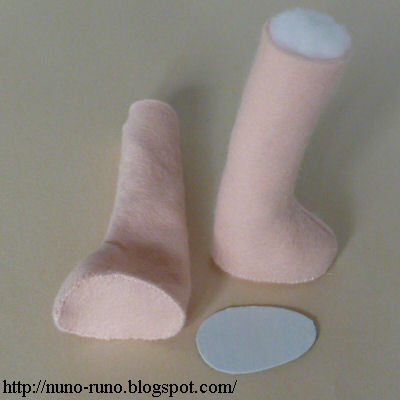 Sew the front of a leg. Turn inside out. Stitch the sole to the foot from outside. 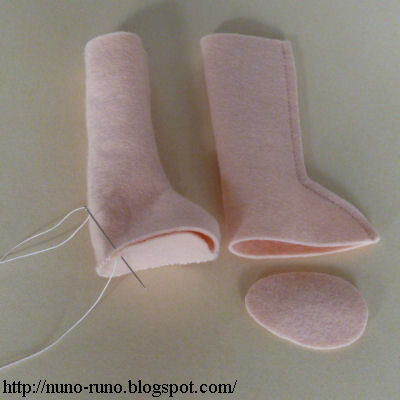 The bottom of the foot and the sole don't need seam allowance. If you put thick paper (smaller than the sole a little) in the foot, the doll will stand stably. Stuff fiberfill in the legs. 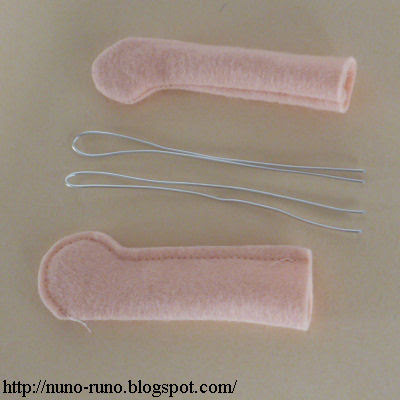 Sew the arms. Seam allowance is 3 millimeters. If you want to bend the arm, put a wire in it. 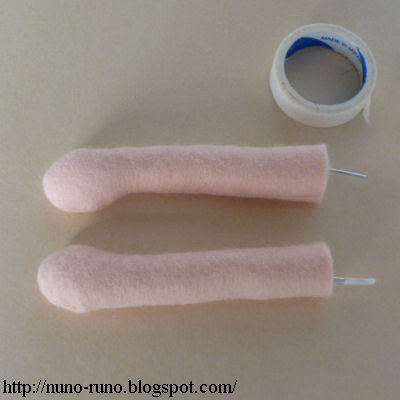 Bind up the ends of a wire with adhesive tape (for safety).